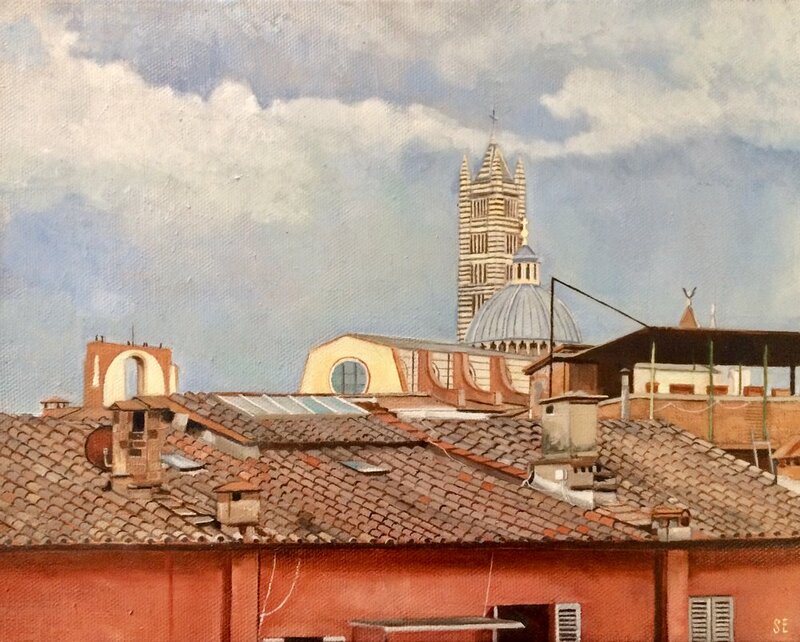 A new painting to share...Rooftop in Siena, oil on canvas, 9.5x12 inches. I have not been painting much of late, however this is one of the small pieces I have worked on over the last year and I have a fondness for it. I have found the need to put down the brushes for the last week as the other work has felt forced and off. It feels like a winter season in my art world and I am not sure when the thaw will come.